Author of Martin's Big Words: The Life of Dr. Martin Luther King, Jr.
Join Porter Square Books for a Stuffed Animal Portrait Party! Have your favorite stuffed animal’s portrait drawn for free by illustrators Joe McKendry, Barbara McClintock, and Matt Tavares. Joe, Barbara, Matt, and almost 40 other illustrators are participating in We Art Boston, an online auction of original art running October 10-24 to benefit the Emergency and Trauma Fund at Boston Children’s Hospital, providing physical and emotional care to families following sudden events, with the hope of helping every family feel a little safer when they go to sleep tonight. For more information or to participate in the auction visit the We Are Boston website. Joe McKendry is a painter and illustrator whose work has appeared in over 50 publications worldwide, including the New York Times, the London Times, Vanity Fair, Esquire, and TIME Magazine. His books, Beneath the streets of Boston: Building America’s First Subway and One Times Square: A Century of Change at the Crossroads of the World, chronicle the history of their subjects in a way that is accessible to both children and adults. A native of Maynard, MA, McKendry teaches painting and illustration at the Rhode Island School of Design and lives in Brookline, MA with his wife and three kids. Barbara McClintock has written and illustrated many distinguished books for young readers, including Adele & Simon. Her books have been named four times to the New York Times Best Illustrated Books of the Year list. She lives in Windham, Connecticut. Matt Tavares is the illustrator of Iron Hans: A Grimms’ Fairy Tale; ’Twas the Night Before Christmas, or an Account of a Visit from St. Nicholas; Jack and the Beanstalk; Doreen Rappaport’s Lady Liberty: A Biography; and Kristin Kladstrup’s The Gingerbread Pirates, as well as the author-illustrator of Zachary’s Ball, Oliver ’s Game, and Mudball. He lives in Ogunquit, Maine. Doreen Rappaport's book 42 Is Not Just a Number was available from LibraryThing Early Reviewers. 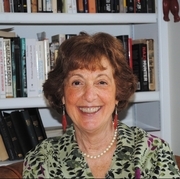 Doreen Rappaport is currently considered a "single author." If one or more works are by a distinct, homonymous authors, go ahead and split the author. Doreen Rappaport is composed of 4 names. You can examine and separate out names.